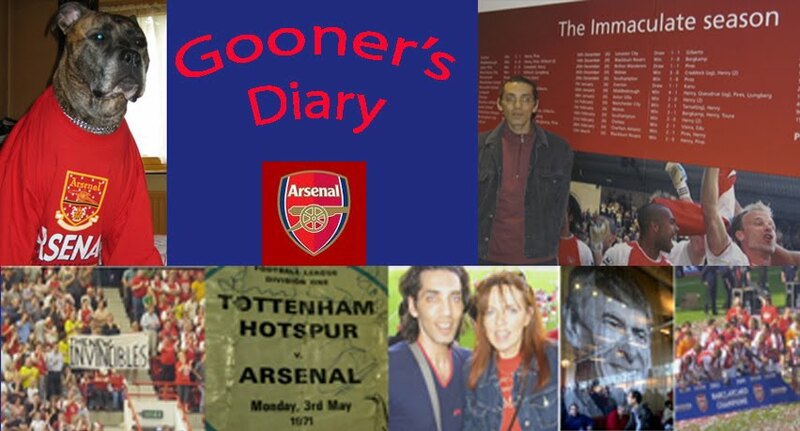 Gooner's Diary: Can We Kick It? Van Persie Sure Can! Can We Kick It? 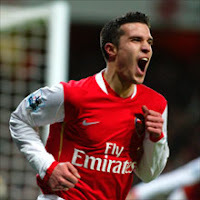 Van Persie Sure Can! Come the revolution, the sadist who suggested noon kick-offs on a Sunday will be top of my list for lining up against the wall. Our walk to the new stadium might be a little longer, but it’s still only a 15-minute stroll around the corner. Whereas it must have been hardly worth the poor Wearsiders going to bed on Saturday night, considering their coaches departed Sunderland at an ungodly 3.30am. In this respect I was almost pleased for the couple of thousand hardy souls who packed the away section of our stadium, when they had, what I assumed would be a token goal to celebrate after 25 minutes, as we really should’ve been well out of sight by then, if it wasn’t for the dodgy offside decision that ruled out Diaby’s goal. Yet instead of going in 3, or 4 up and cruising, after thirty minutes of football that served to highlight the huge gulf in class between title ‘wanabees’ and Premiership ‘willtheybees’, it was only 2-1 and this Arsenal side might’ve done better to spend the break with their ears cocked against the dressing room wall, listening to the dulcet tones of Roy Keane, instead of putting their feet up for a 15 minute “power nap”. Or at least this was the impression some of ours gave when the second-half started. Several of them appeared to be still half akip, as mere spectators when Sunderland scored the equaliser soon after. They should’ve known better than to switch off, against a Sunderland side constructed in its manager’s image, which was never going to roll over and play dead. After thinking that we were about to dish out a swift and emphatic response to what seemed to be a somewhat flattering scoreline at Old Trafford the day before, I suggested to the missus at the break that it would be a tragedy if, instead of blowing the Black Cats away, their £9 million keeper came out and produced one of those special second half performances, where his onion bag was absolutely impenetrable and Keane’s other shrewd summer purchase, the burly Kenwyne Jones, popped up with devastating 90th minute equaliser. Mercifully Jones contribution to this contest came early in the second half, with plenty of time for us to respond. Roná never fails to be amazed at how fickle our fans can be, as the same supporters who’d been purring with content, during a positively peerless first half-hour of football, were suddenly roaring their disapproval at the way we’d allowed the Black Cats back into the game. Mind you, nowadays, at our new stadium, I often wonder if these same fans share some of the blame for goals conceded in the five minutes before, or after the break, as the substantial amount of movement in the stands, from those dashing off to beat the queues and those dawdling back from their beer and burgers, must be a distraction. In fact it often feels as if we’re just playing out time until the whistle, once these thirsty/hungry punters have had the unspoken cue (usually the injury time board) to begin the rush from their seats. And after the break it’s as if the team are waiting to enquire “are you all sitting comfortably, then we’ll begin” but sadly the visitors are under no such obligation to perform according to the niceties of our new stadium etiquette and so Sunderland took advantage of this vulnerability, by catching us cold after the break. If Roy Keane’s side was guilty of standing off and showing us a little to much respect early on, their two goals and a half-time haranguing were all the encouragement necessary for a bit of belief to break out. We were all a bit incredulous, as what had looked like being a comfortable Sunday afternoon romp, developed into a stiff test of our desire. I guess it made for much more interesting viewing for the neutral, assuming that like myself and many other footie addicts, you’ve rapidly come to the conclusion that you’ve no choice but to stump up an additional tenner a month for a Setanta subscription (espeially with their growing monopoly of all the big clubs dedicated TV channels). However , personally I could’ve well done without all the emotional stress of having to wait for Van Persie’s 81st minute winner. Still when it eventually came, amidst all the euphoria, I couldn’t help but picture the smile being wiped off of Fergie’s face. I’d been unable to escape the image of the phone call the evening prior, between him and his protégé, to ensure the Black Cats produced a “balls out” effort to put a spoke in the wheel of the Wenger bandwagon. Ex-young Gun Anthony Stokes came close to doing this metaphorically, when the sub stretched Almunia with a looping, long range strike, whereas Mcshane’s effort was a little too literal for ref Stiles’ liking (and obviously Alexandre Hleb’s), when he appeared to catch the Bielorussian right between the legs. Although in the context of this whole-hearted encounter, it should’ve been a booking at worst as the kid from Co. Wicklow was only guilty of an over-enthusiastic tackle, rather than a concerted effort to separate Hleb and his wedding tackle. Watching this incident from the opposite side of the ground, as it occurred directly in front of Keane, on first impressions, I couldn’t help but wonder if the Sunderland manager had to resist congratulating the youngster with a pat on the back, for an “if you can’t beat ‘em, knobble ‘em” type challenge that was once such a regular tool in the Corkonian’s own infamous armoury. It would’ve been a massive psychological blow if we’d ended up making a hash of this home banker and thereby conceding top spot to the Mancs for the two weeks of another annoying International break. Ireland v Germany might be an enticing prospect, but quite frankly I detest the idea of having the increasingly enthralling rhythm and momentum of this Arsenal side interrupted, as our players disappear off to all four corners of the planet and the media in this country focus on an uninspiring encounter with Estonia and an endless stream of drivel bemaoning the Ruskies artificial playing surface. Nevertheless it’s some consolation to be able to spend the break in domestic footie, looking down on everyone else from our lofty perch atop the pile. While many in the media point to the complacency that crept into this performance, as evidence of our immaturity, I prefer to believe that the way in which we had to come back and win Sunday’s contest a second time was further proof of our youngster’s new found resilience. Perhaps we’ll have to rename Sagna, Samson, with his first bad performance in an Arsenal shirt coinciding with him having been shorn of his conspicuous locks. But it we’re prone to a more tangible weakness, it is that while Diaby and Hleb both appear to have the potential to be seriously influential players, neither of them are natural wide men, with the instinct to hare up and down the flanks, both to the byeline and back to help out the full-backs. Their tendency to head in towards the middle means that our full-backs are often the only source of any real width when going forward and we are also prone to being stretched when the opposition doubles up at the other end. Enough complaining about the early kick-off. Watching a 9pm game here in Aus is a welcome relief from the usual very late night or early mornings. This is sensible catering to the global fanbase by a global brand. Oh East London Was Full Of Grit…..!